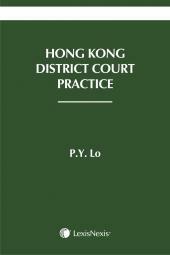 Hong Kong Civil Court Practice is the original practitioner’s reference work on civil procedure in Hong Kong, having first been published in 1994. 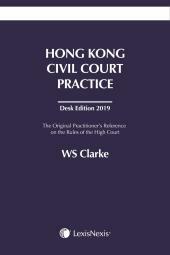 This title contains the full text of the Rules of the High Court (Cap 4A) with extensive commentary which reflects Hong Kong’s experience with the civil justice reforms which were implemented in April 2009, as well as the Competition Tribunal Rules. Commentary includes not only Hong Kong cases and materials but also those of relevance from the UK and other common law jurisdictions around the world. Such authorities have been carefully selected for relevance to Hong Kong, and are included where they might provide guidance unavailable in local decisions. Carefully chosen extracts from the UK’s Civil Court Practice have been included reflecting the addition years of experience of the courts there. Written by a team of experts, Hong Kong Civil Court Practice – Desk Edition 2018 is a practitioner’s essential reference work intended for use by all members of the legal community. provisions, drawing on case law from Hong Kong, England and the Commonwealth. for legal practitioners, litigants in person, academics, students and others who need to know about the District Court of Hong Kong.